Production Hire offer an Atmospheric Lighting Fixture Dry Hire service, this service is for when equipment only is required and clients do not have a requirement for engineers or technicians. Equipment can be collected from our premises or we can deliver and collect if required. We have a wide variety of atmospheric lighting fixtures available for dry hire. Click one of our light fixtures below to see more info or contact our experienced team and they will be happy to assist you in meeting your atmospheric lighting dry hire requirements. With its variable output the machine can be used in many fields for any desired effect from the finest mist to a thick haze. 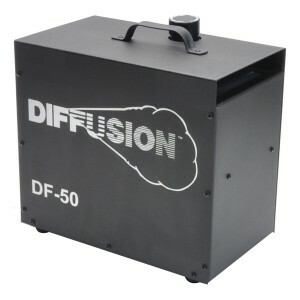 The DF-50 utilises a triple filtered system that breaks down the diffusion fluid to a uniform 1 micron sized droplet. 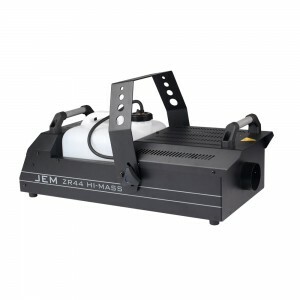 The ZR33 Hi-Mass is a powerful and instant atmosphere generator for large clubs, stage productions, and industrial applications. 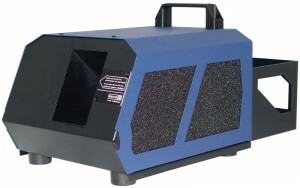 The ZR44 is a reliable and highly efficient fogger capable of precise fog delivery from subtle to massive. High powered fog and haze generator with integrated wind machine in Amptown flight case on wheels. Additional products will be added soon.